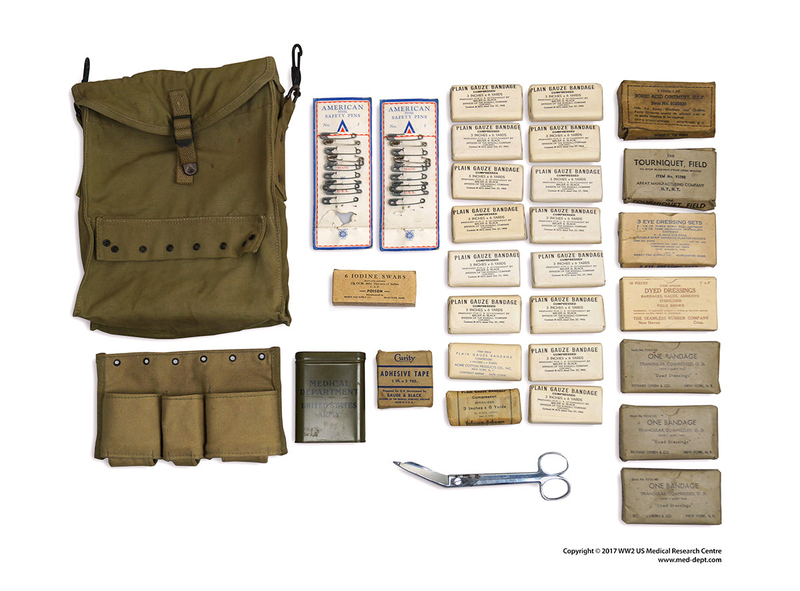 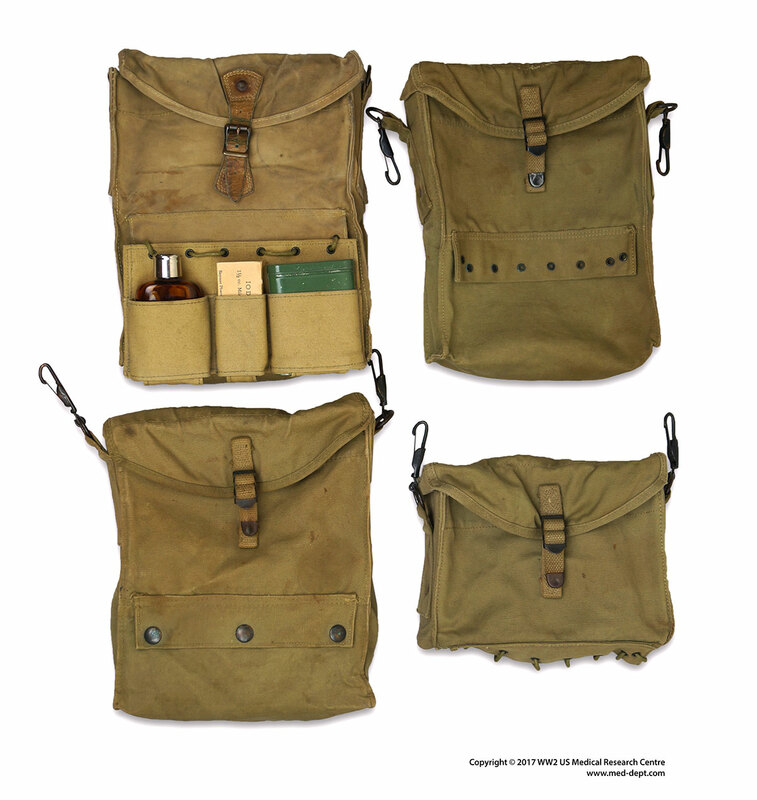 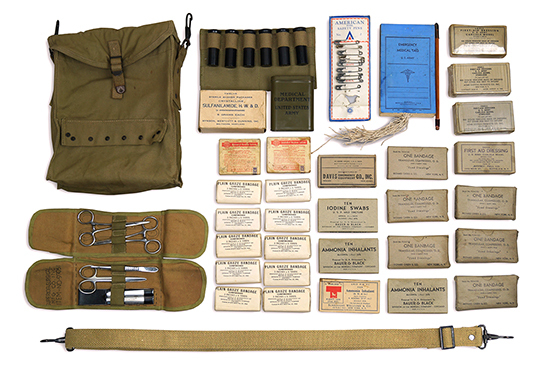 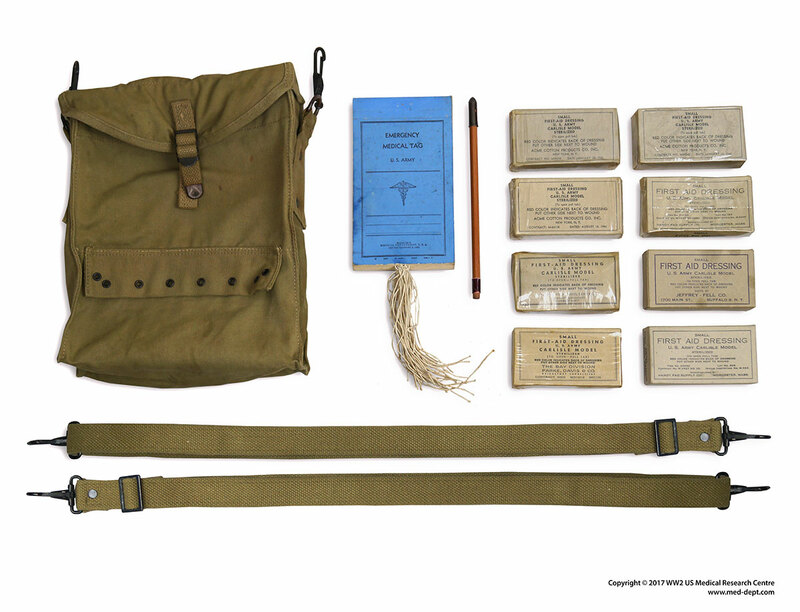 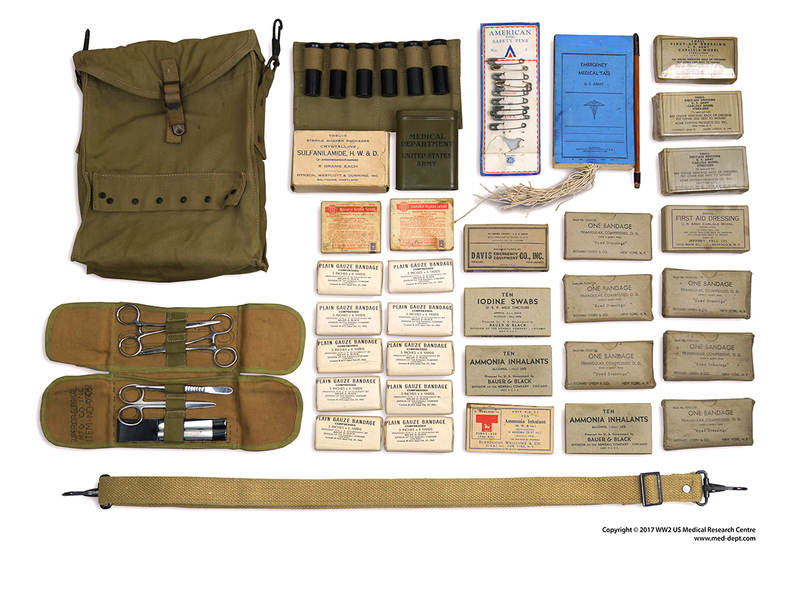 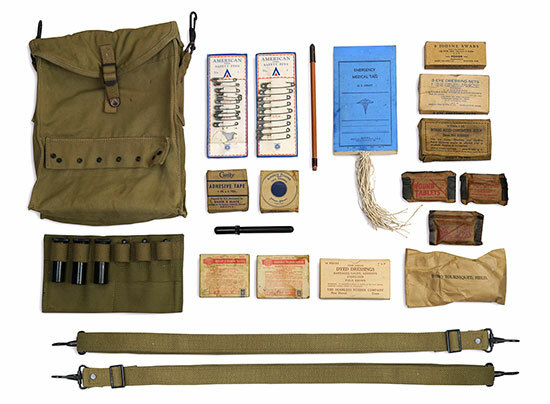 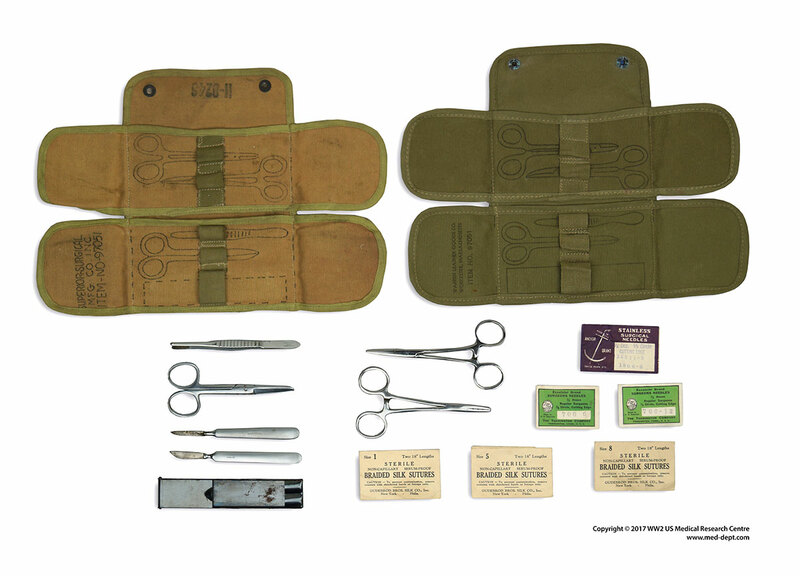 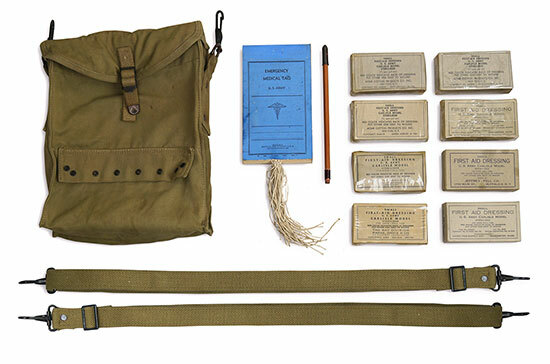 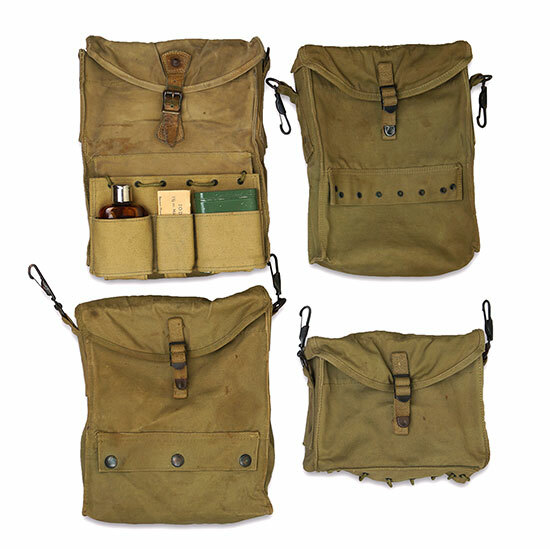 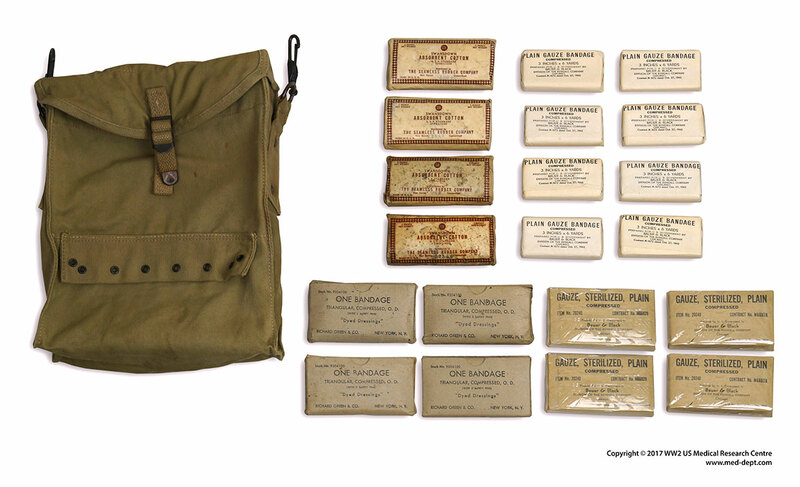 This article has been produced to show the different individual medical kits of personnel. 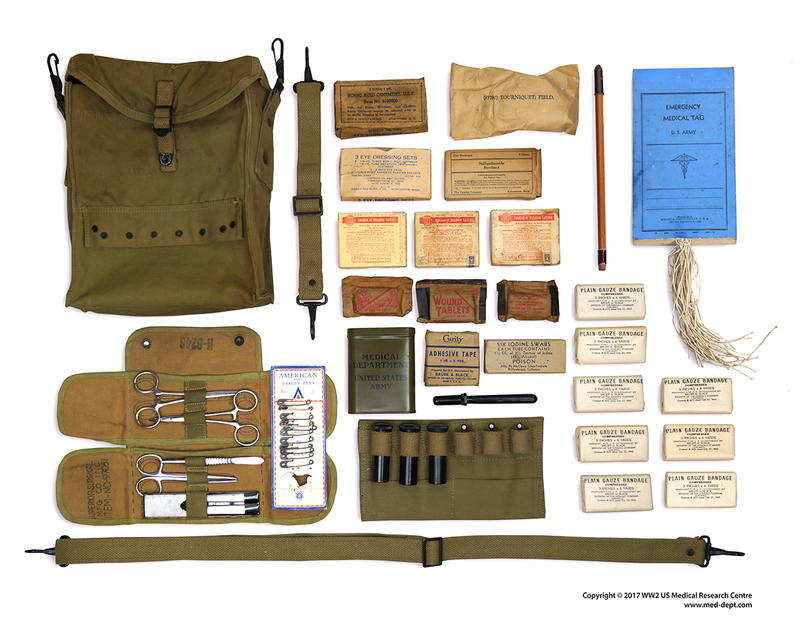 The majority of the kits shown here are the field / combat equipment of the medic. Please click on the illustrations to enlarge. 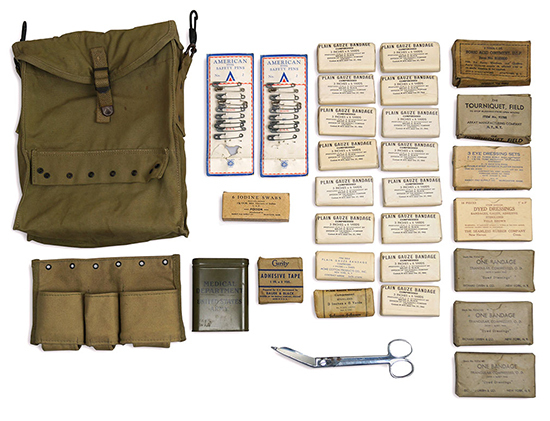 Picture illustrating various patterns of the Medical Pouch. 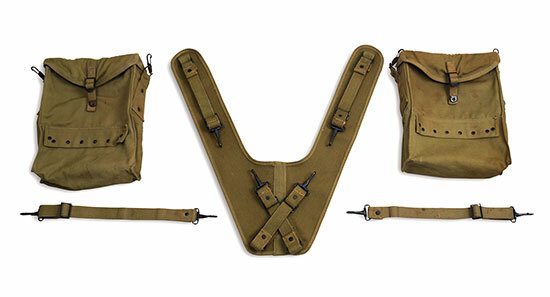 The first pattern, shown at top left, is closed using a leather strap and buckle, while the second and third patterns use a canvas strap. 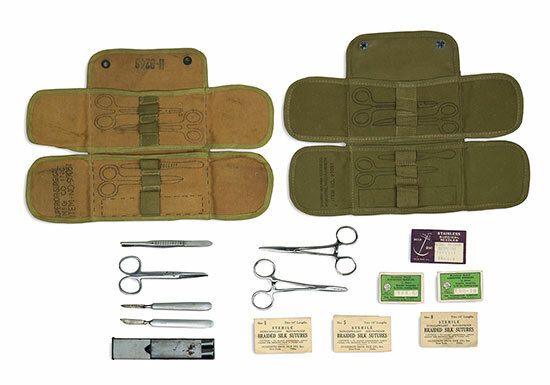 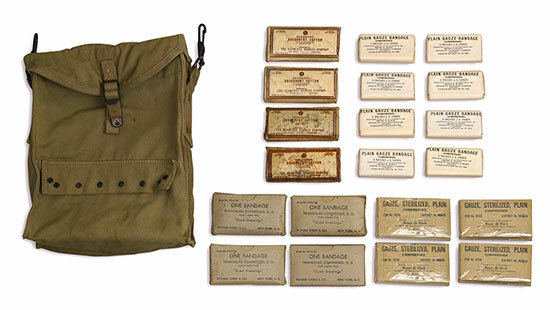 The third pattern, shown at bottom left, has received press studs instead of the standard lacings (introduced end 1943, early 1944) but still retains the flap closing method (strap with buckle). 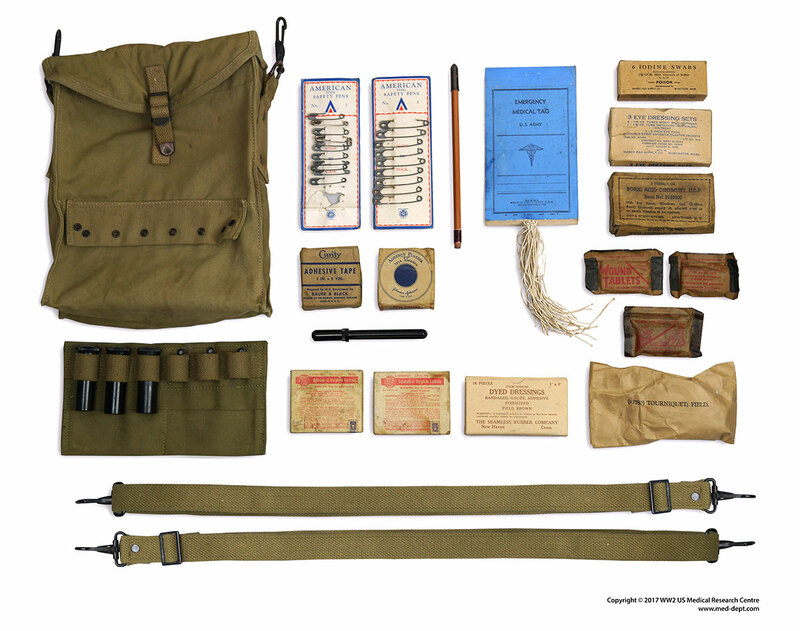 The pouch illustrated at bottom right shows the second pattern example with its false bottom folded and closed using laces.